Functional Nutrition and Functional Medicine are two relatively new concepts in the health world. This health practice revolves around the idea of getting to the root cause of disease processes in the body rather than treating the symptoms. By identifying deeper mechanisms that prevent the body from functioning at its peak, we can support the systems that need it. In turn, the body can heal itself more effectively. It is this kind of approach that has been extremely helpful for improving conditions that previously have had no treatment options. Because the functional nutrition approach looks at the body as a summation of systems rather than overly specific mechanisms, it is able to take a truly holistic approach towards health. You will likely even discover unexpected, hidden causes of disease that are pushing your body towards metabolic chaos. In this article, you will learn some of the things to consider when looking for a functional nutrition practitioner. The body is complex. It is one system comprised of hundreds of smaller systems all operating in synchronicity to keep you healthy. So you can see how using a nasal spray for a head cold may be short-sighted. Not to say that it can’t be helpful, but why wasn’t the body able to prevent it from occurring? What systems in the body are responsible for fighting off infections and how can they be supported to prevent this from happening again? These are the kinds of questions a functional nutrition or functional medicine practitioner asks themselves when they work with someone who is dealing with a health challenge. As an example, the video below goes into how a common functional lab test (the Organic Acids Test) is able to uncover several potential reasons for poor healing in the body. Your practitioner will likely either have a set package they like to work with or will work with you to determine which labs will benefit you the most. Your functional nutrition coach will help you understand the lab findings and tweak and better customize your nutrition and lifestyle plan along with targeted supplements to reduce root cause issues in the body. Your functional nutrition coach will be routinely monitoring your health status and help you troubleshoot any roadblocks that come your way as you follow your specific healing plan and will run follow up labs to observe changes in the root cause health challenges as you improve your health. The ultimate goal of a great health coach is to empower you with a sense of self-sufficiency and mastery of your health that you can carry with you for life! 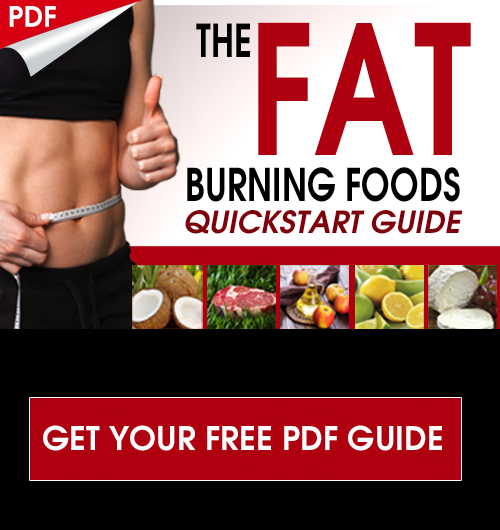 Generally, using these two methods, you should at least be able to find someone local who engages in something similar to functional nutrition. I will tell you now though… not all functional nutrition, functional medicine, or natural health practitioners are equal. In a moment, we will discuss the qualities you should look for when choosing a practitioner to work with. You may or may not be aware of this but long-distance or virtual health coaching is actually a growing field. With the increasingly high demands of our lives, it can just be so much more convenient to consult with your functional nutrition practitioner by phone or video chat (whether you’re on the go or laid back in your pajamas in the comfort of your own home). You might think that working this way would be cluttered but it’s actually super simple. Most often, these practitioners offer a free intro call to discuss how their plan works. When it is time to order functional lab work, all you do is make a simple online order, the kits show up at your doorstep, and you simply follow the included directions. You complete these labs at home, ship them back to the laboratory, and within a few weeks, you’re on the phone speaking with your functional nutrition practitioner putting together a game plan! In addition to being more convenient, online health coaching also gives you a wider selection of practitioners to choose from. This puts you in control of the experience. Next, we will cover the critical questions to ask your potential health coach in order to determine if they are the best option for you. Most reputable health coaches have an online presence these days. Whether they have a website or some kind of social media page, this is how you can become familiar with their personality and health philosophy before even getting in touch with them. For example, on DrJockers.com you can easily get an idea of how we would go about supporting the body in healing things like Auto-immunity, Cancer, Digestive Issues, Parasite Infections, weight loss, and so much more. You can also check out each one of our health coaches and read about their stories and philosophy when it comes to working with people one-on-one. More on that at the bottom of this article. If a health coach expects you to work with them without knowing anything about their coaching process, be very cautious. Be sure to check out their social media pages and read their content or watch the videos they are putting out to get a good feel for their health philosophy and health strategies. You really want a coach or a team of coaches that share similar values as you do because you will resonate with them and connect with their style more effectively. If you don’t follow me already, you can keep up with me on my facebook page here or Instagram page here. There are now several different methods for getting into the functional nutrition field. Unlike traditional nutritionists, functional nutrition is not something learned in public institutions. Rather, several private certifications exist that operate on a similar functional nutrition framework. Ideally, you will want to find someone who has been certified by an institution who has an established record of GETTING RESULTS with people. People can try to sell you things all day, but results speak for themselves. You should be able to find a health coach that gets results using their methods. Oftentimes, those who get the results will display them on their website or social media page on a regular basis. I can’t emphasize this enough, be wary of those that make claims without showing the results to back it up! If you’re going to invest in your health, you want a solid return on that investment. Look for a functional nutrition practitioner who either has years of experience working with clients or has been trained and mentored by someone who has. The thing about functional nutrition is that not everyone is the same. The more you work with people, the more you realize that not everyone responds the same way to the same protocols. In fact, what works really well for one person, may cause a negative reaction in someone else. An experienced practitioner will be able to identify these reactions quickly and shift your plan accordingly to maximize chances of success. Getting on the phone for a short intro call can go a long way. You can use this opportunity to figure out if you are a good fit for their program. Many practitioners offer a 10-15 minute phone call for this purpose. If you are strategic with your questions, you can get a really good idea of whether or not you want to work with them. Below are some vital questions to ask when looking for a functional nutrition practitioner. Do you believe nutrition and lifestyle play a huge role in overall health? Are you familiar with an autoimmune elimination diet? A leaky gut diet? 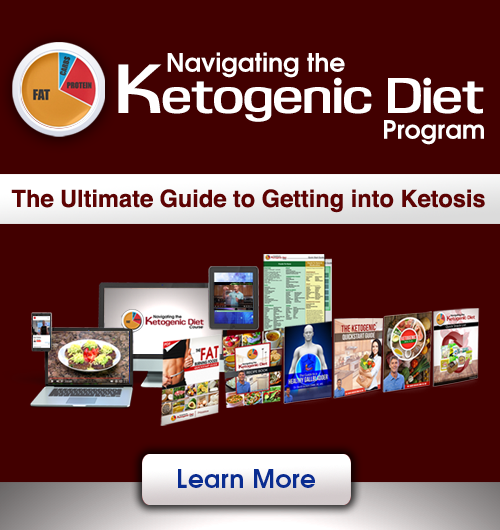 A ketogenic diet? Do you recommend specific functional lab testing to find the root cause of major health issues? You can even ask which testing would likely be the most beneficial depending on your specific health challenges. What could we realistically achieve health-wise on a plan together? This goes both ways. As the potential client, don’t expect miracles. On the other hand, if a health coach tells you they can cure you of all disease, be very cautious about starting a plan with them. With time and persistence, making the right changes can help put your body back into a state of healing. No magic bullets here, just a reliable process! When it comes down to it, we still live in a very competitive and money-driven society. That being said, there are those who are in the field of functional nutrition who are either looking to maximize income or simply do not understand the true complexity and holistic nature of health coaching. The following are things to look out for. Your health is not determined by a single diet, food, or supplement. Many people sell their products or service with a HUGE promise. I would be weary of this as the journey to health must be a multi-therapeutic, holistic approach and it takes time to heal. Nutrition, lifestyle, supplements, stress levels, sleep patterns, the light you expose your body to, your exposure to toxins, and whole list of other things can alter your health. Learning these things will empower you to be healthy forever. A health coach should understand that your health results will be 70-80% based around your lifestyle habits. Supplements can be great at accelerating the healing process, but they are to be used in addition to a healthy nutrition plan and lifestyle. A roof is great but before you can build a roof, you need a house underneath it! Food and your everyday habits are the foundation to your health, supplements are great after that has been set in place. There are many fringe therapies out there. Some work, some don’t. However, look for someone who is going to work on the basics first. Nutrition and everyday lifestyle choices are your foundation so start there! If your coach has the intention to teach you how to keep yourself healthy forever, they will focus on the basics first! What is a headache a symptom of? Well… I could probably think of 10 different potential reasons. What about chronic headaches? Chronic fatigue? The truth is… a symptom doesn’t tell you much about what is going on in the body. This is why it doesn’t make sense to treat symptoms. This is where functional lab work comes in handy. Looking at specific markers within the body narrows down the possibilities and an experienced practitioner can help you troubleshoot the rest! Considering the factors discussed above, I have personally recruited three top-notch health coaches that are available for long-distance functional nutrition consulting. Melissa Nohr is a Board-Certified Health Coach, attorney, wife, and mother of four. She is a prolific researcher and writer on a variety of health and wellness topics. Her writing has been featured on The Truth about Cancer, Cancer Tutor, and DrJockers.com. Melissa became a health coach after going through her own health crisis. She turned to functional medicine for answers and healing and expanded her education by attending the Institute for Integrative Nutrition. She was able to overcome her adrenal issues, hypothyroidism, leaky gut, and SIBO. Now, she is on a mission to help her clients through their health challenges so that they can experience optimal health. As a health coach, Melissa works with clients with a range of health issues, including leaky gut, adrenal and thyroid issues, digestive issues, chronic disease, and much more. Melissa also works with children, both young and old, who are dealing with their own challenges. She loves to involve the entire family in healthy nutrition and lifestyle changes. Melissa focuses on reducing inflammation, balancing blood sugar, maximizing nutrition, and reducing stress. She educates, supports and guides her clients in developing and maintaining nutrition and lifestyle changes to meet their health goals and overcome any obstacles. Melissa has a passion for educating people on nutrition and health. She gives interactive workshops and leads grocery-shopping tours. Melissa is Board Certified as a Holistic Health Practitioner by the American Association of Drugless Practitioners. She is a member of the State Bar of Georgia, International Association of Health Coaches, and the Association of Health Coaches for Christ. Read more about Melissa and her coaching plans here. Danielle Dellaquila, MS, CN, has a master’s degree in Nutrition, is a Certified Nutritionist with the State of Washington and has completed the ADAPT Practitioner Program with the Kresser Institute for Functional and Evolutionary Medicine. She has been practicing nutrition for over 15 years, including in her own private practice, in a large international corporation as well as teaching Nutrition at local community colleges. She has held numerous workshops, presentations and developed two Nutrition Programs. Danielle’s passion for nutrition stems from a very young age. She grew up in a large Italian family, with many family members who are both obese and have diabetes. Danielle knew from the age of 11, that she wanted to be on a different path with her own health. Despite this knowledge, Danielle has also had her own health struggles. In her young 20’s, she became amenorrheic, insulin resistant and basically, pre-diabetic. This was in the mid 90’s, when the common paradigm was to follow a low-fat, high carbohydrate diet. When Danielle began attending graduate school, she completed her own research, began studying natural ways of healing and after suffering from amenorrhea for 2.5 years, was able to turn it all around in a very short couple of months. In recent years, Danielle naturally overcame a Clostridium Difficile (C. Diff.) infection, with diet and botanical antimicrobials. This was an unfortunate event in her life, but she believes that the universe provided her that experience so that she could better assist others in their healing processes! Danielle is passionate about working with individuals with digestion issues, gut infections, diabetes, cardiovascular disease and autoimmune issues. If you suffer from one of these ailments, Danielle is the practitioner for you! Read more about Danielle and her coaching plans here. Michael is a Functional Diagnostic Nutrition practitioner who trained under Reed Davis, the founder of Functional Diagnostic Nutrition. Reed has over a decade of experience in the Functional Nutrition field. He is also a member of the Association of Functional Diagnostic Nutrition Professionals where he has access to cutting-edge health knowledge and industry professionals. Being with the Dr. Jockers team for over 2 years, he has gained valuable insight into helping people troubleshoot their health issues. Michael utilizes a proven method that includes lab testing to determine the HIDDEN stressors within your body. These are the things that are holding you back from experiencing true health. After pinpointing the primary dysfunctions within your physiology, he will work with you to develop your optimal lifestyle that includes Dietary, Rest, Exercise, Stress Reduction, and Sleep Optimization (DRESS) components that are relevant to your specific needs. He uses a comprehensive approach that aims to eliminate the guesswork from holistic healing and break people free from the cycle of trial and error. This process can help almost anyone get healthier. It works whether you are dealing with a specific health condition or you are looking for a performance edge. The FDN process has a proven track record with hormonal imbalances, digestive issues, autoimmune conditions, and more. After coming from a collegiate athletic background and dealing with a series of debilitating health challenges, Michael used this very same process to go from sick – to pushing the boundaries of human performance. Michael most enjoys working with highly-motivated individuals looking to establish a long-term health coaching relationship. This plan is ideal for executives, athletes, and long-standing cases of chronic illness. Read more about Michael and his coaching plan here. wow, it’s interesting that a nutrition coach can actually right-fit your body with the essential nutrients that it needs. I love it when you sai that life coach can help you customize your anti-inflammatory nutrition a lifestyle to help you speed up the healing process. My body is very prone to inflammation. I think getting a nutrition coach can help me heal from this condition.